by Jerald Simon on August 28, 2017 in Motivation in a Minute! 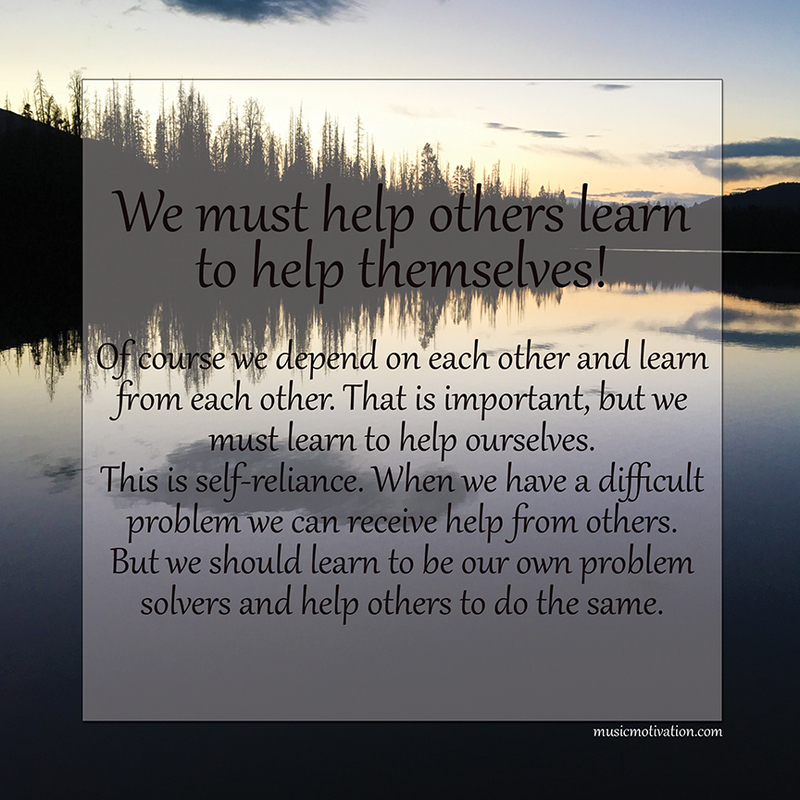 What does it mean to help others learn to help themselves? It’s a very good question and one that we all must ask ourselves for our own personal improvement and for the sake of those we love. How do we help others learn to help themselves? I believe we must help others learn to trust in themselves. We must all learn to be confident in our own ability to know and do something. The more we do something, the greater our level of proficiency. We all have different talents and have learned various skills. We have different levels of competency in these acquired abilities and we must learn to trust our capability. Our capacity to do things increases as our own sense of confidence in ourselves improves. When we believe we can learn a new skill and gain greater confidence in ourselves, our knowledge, and our work ethic, then our ability improves. We, then, are held accountable to ourselves, and that is when we change and grow. If we all have strengths and weaknesses, we must then learn how to strengthen our strengths and overcome our weaknesses so we can be better. We cannot improve if we do not identify the areas that need improvement and work on changing for the better. We are not trying to outdo those around us, per se. We are simply trying to demonstrate to ourselves that we can accomplish anything we set out to accomplish. We can do difficult things! We must start training our thinking at a young age so we believe in ourselves and know we can learn and grow. We must also teach our children at a young age so they can learn that they can depend on themselves. I love the lessons in this little video! I grew up reading every book by Stephen Covey and loved his approach to helping others be their best. Have a wonderful day today and learn how to help yourself so you can help others learn to help themselves. Enjoy the journey! Be happy! Smile all the while and have FUN!